You will die if squares attack. 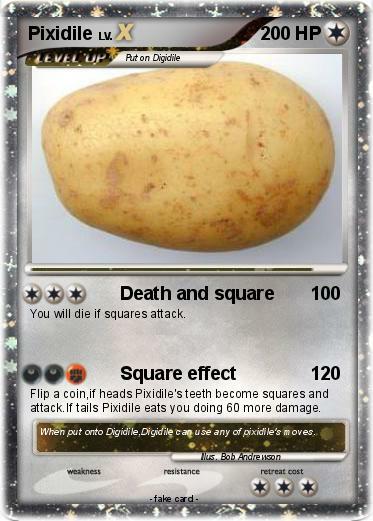 Flip a coin,if heads Pixidile's teeth become squares and attack.If tails Pixidile eats you doing 60 more damage. Comments : When put onto Digidile,Digidile can use any of pixidile's moves.